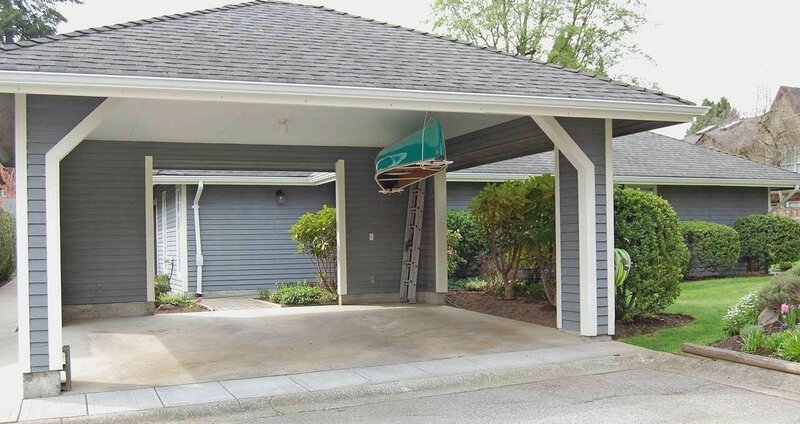 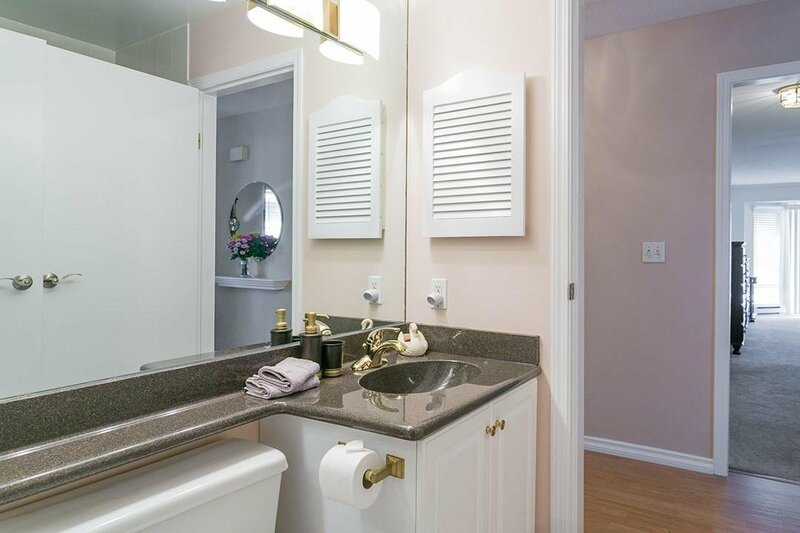 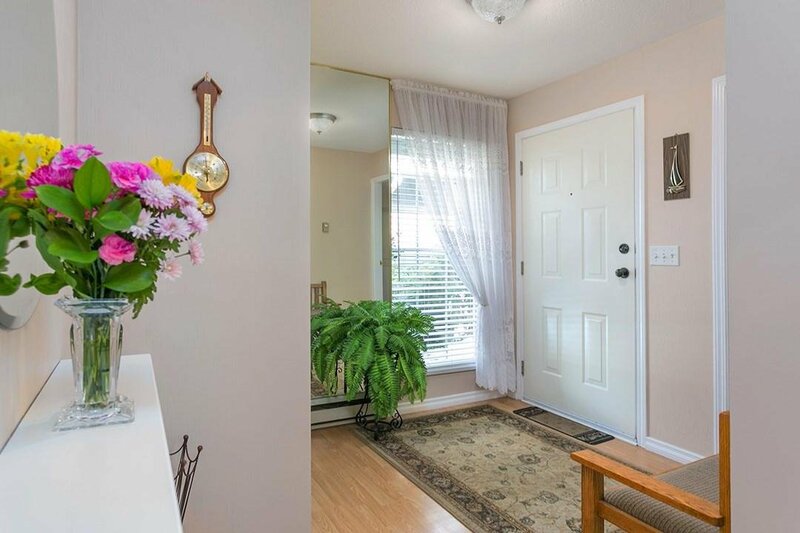 A well-designed townhome situated on a quiet CDS in a very desirable neighbourhood. 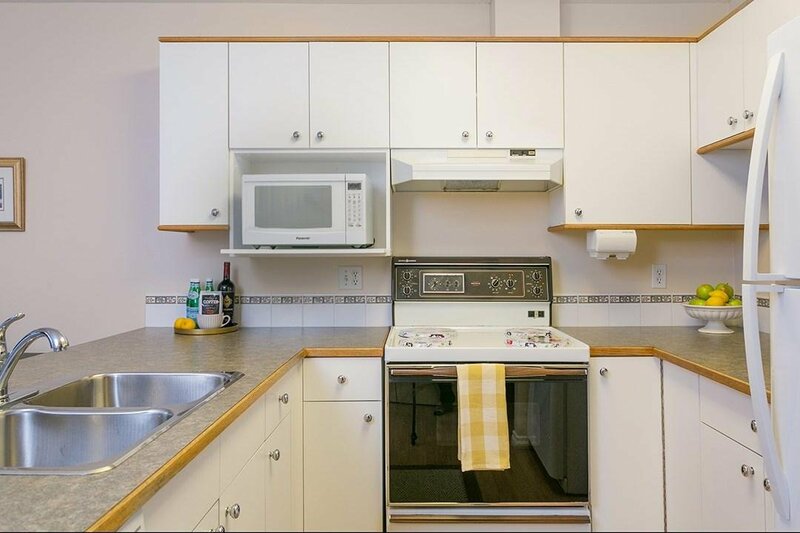 This 2 bdrm, 1424 sqft end-unit has been pristinely maintained, offers you the best of city living without compromising on space. 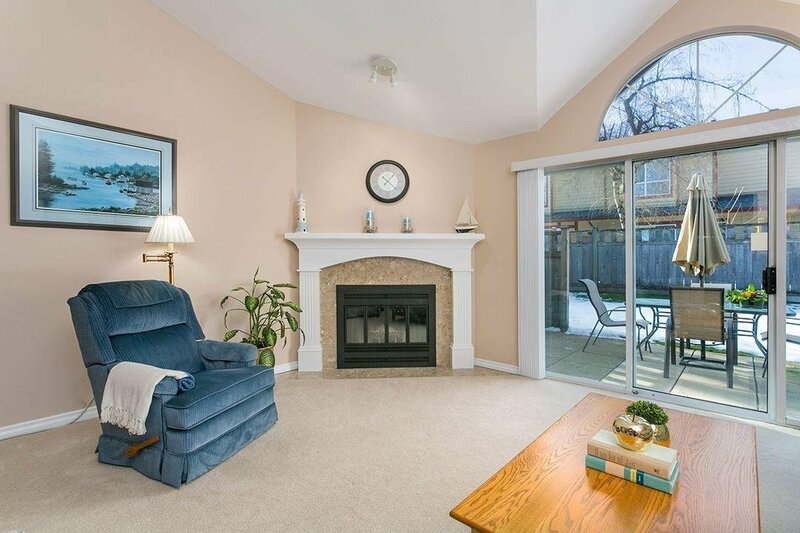 Open concept living/dining rm features vaulted ceiling, bright & airy interior, modern light fixtures & a cozy wood-burning fireplace. 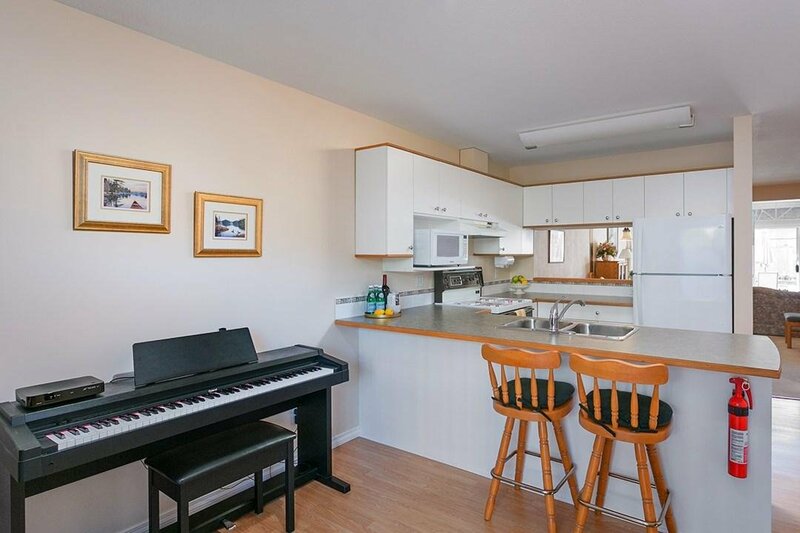 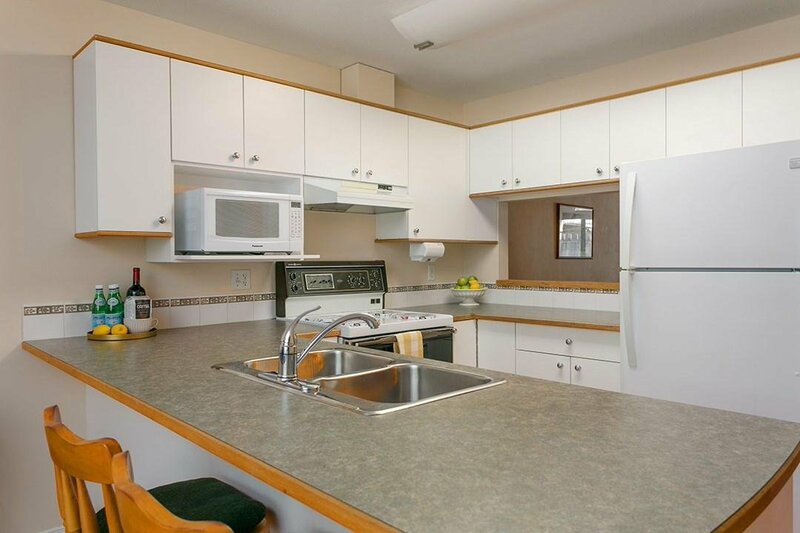 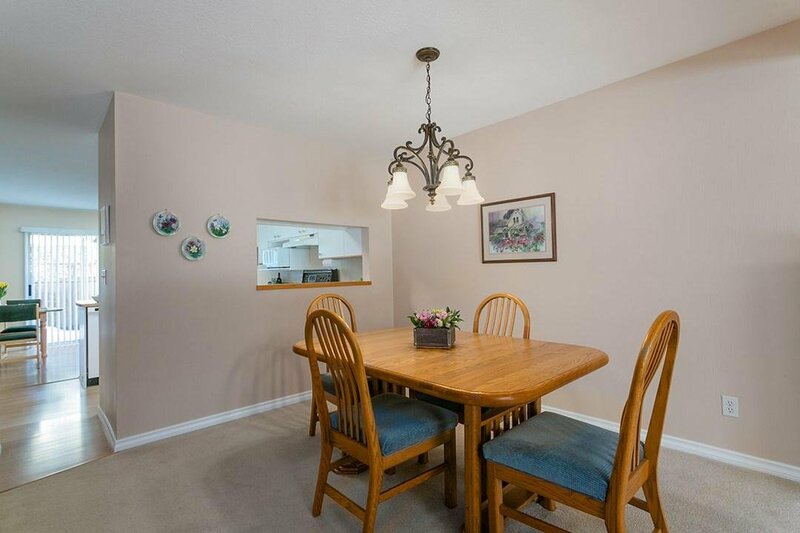 Generous kitchen space w/adjoining eating area (or den). 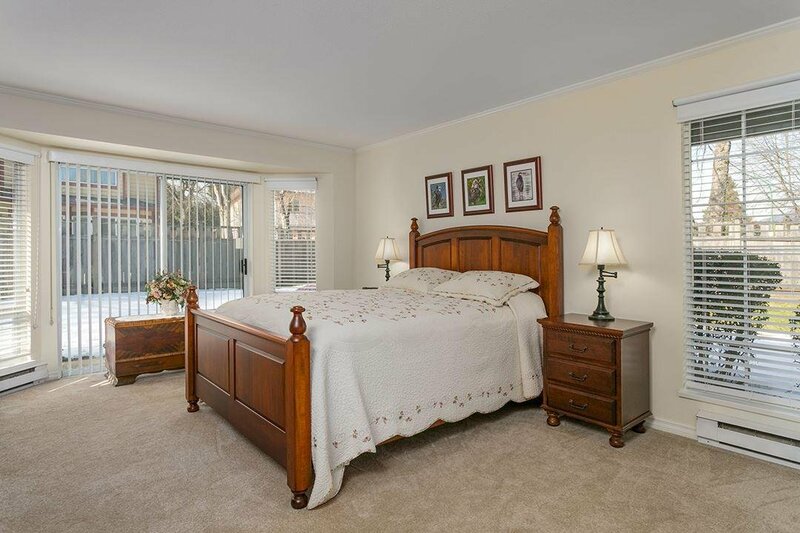 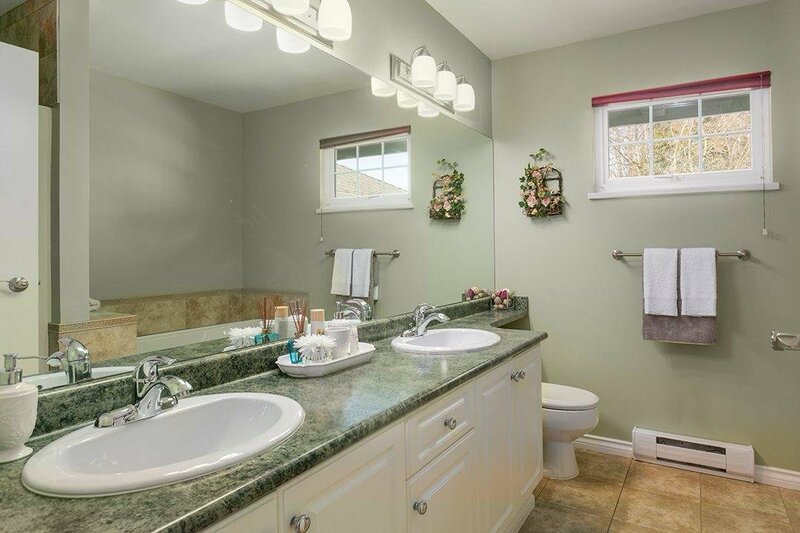 Spacious master bdrm w/5-piece ensuite & walk-in closet. 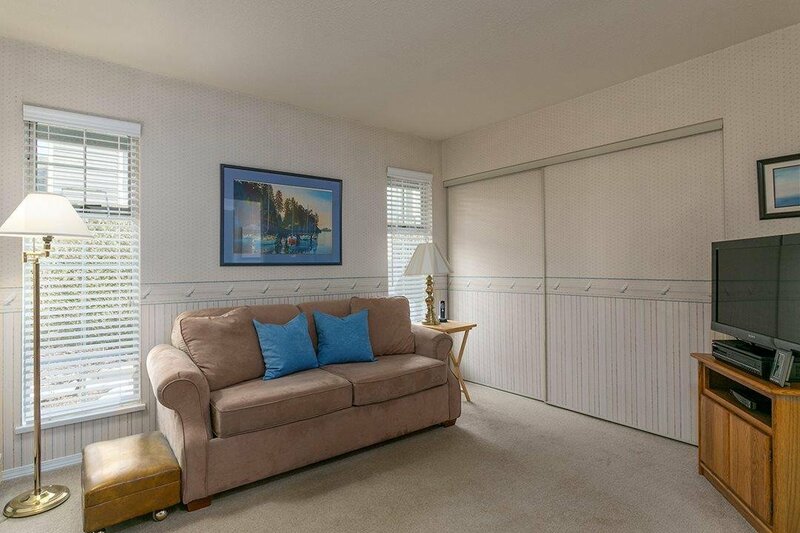 2nd room makes a perfect bdrm or home office. 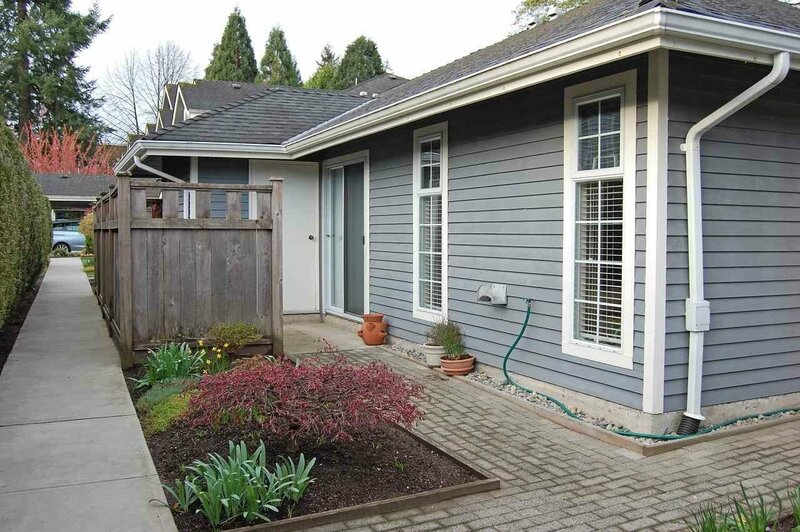 Newer washer/dryer, built-in vacuum & attached storage shed. 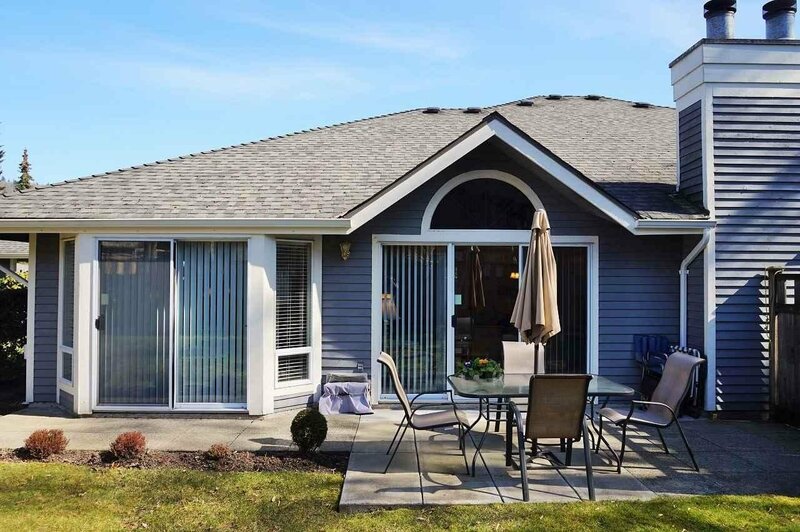 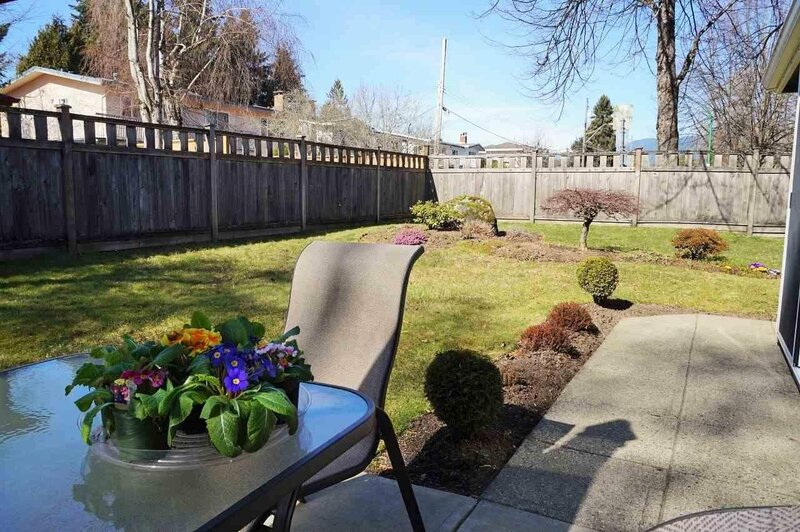 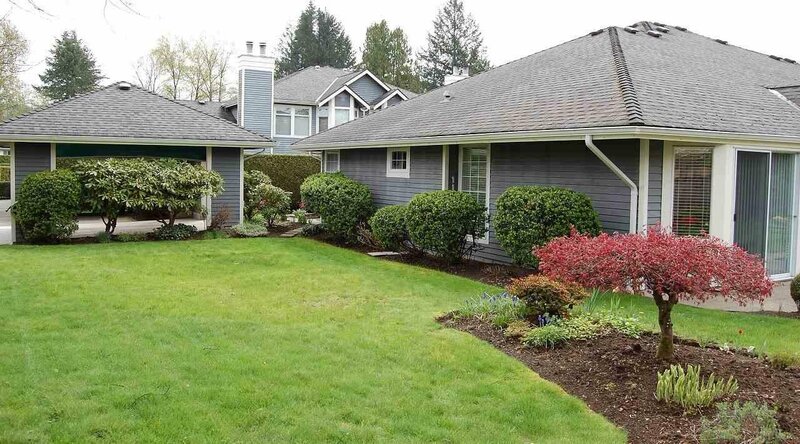 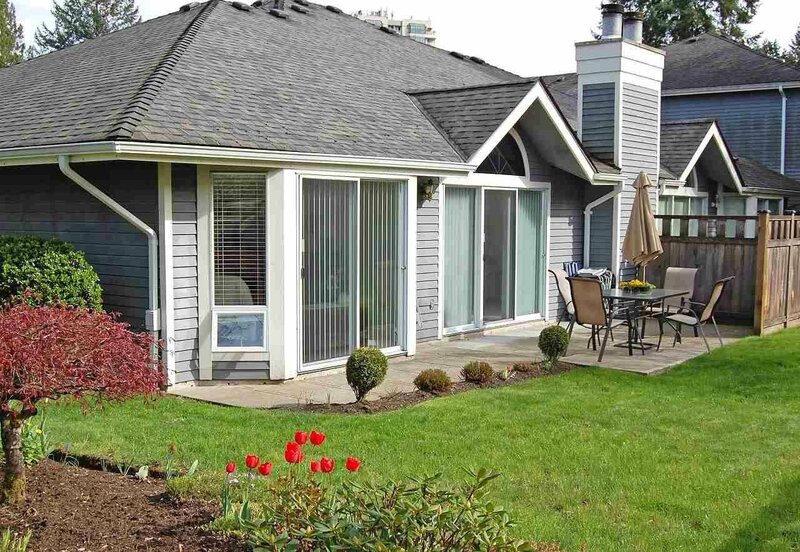 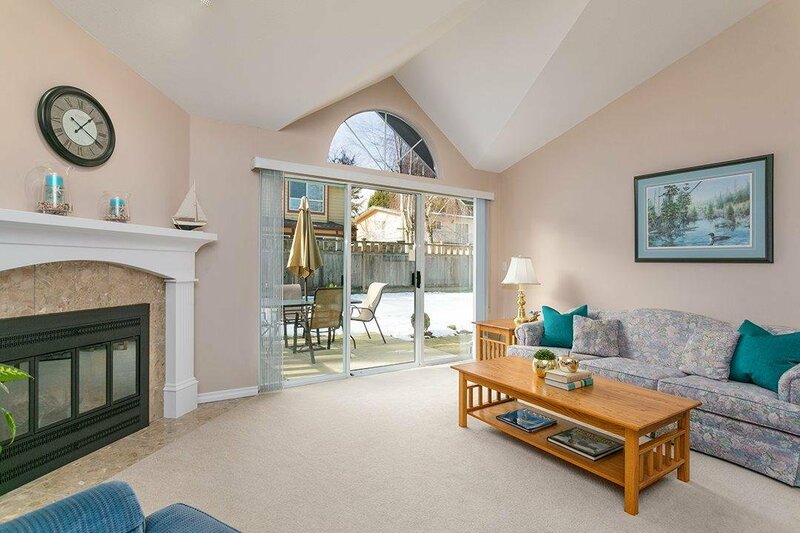 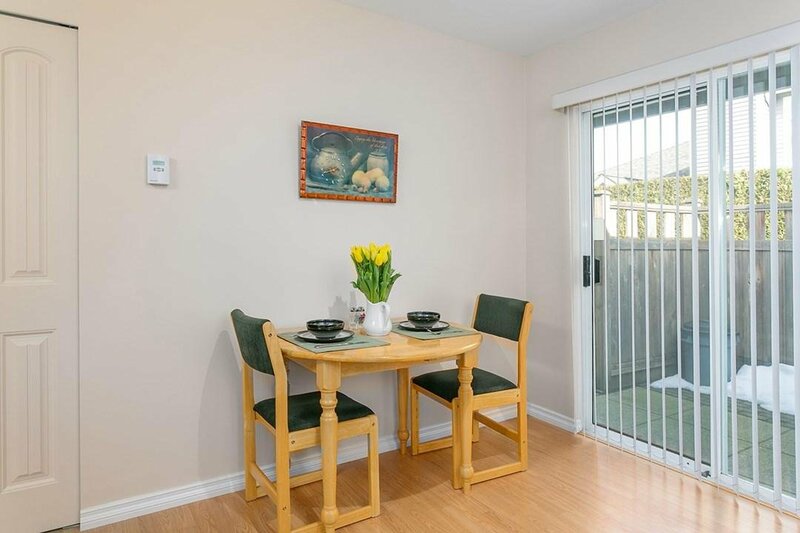 Over 200 sqft patio with natural extension private backyard & well-cared for landscaping. 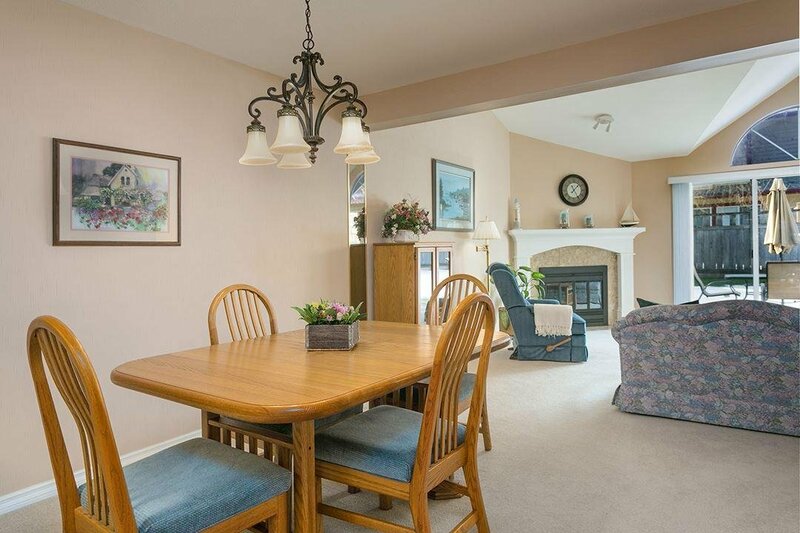 An easy walk to schools, transit, shopping & trails. 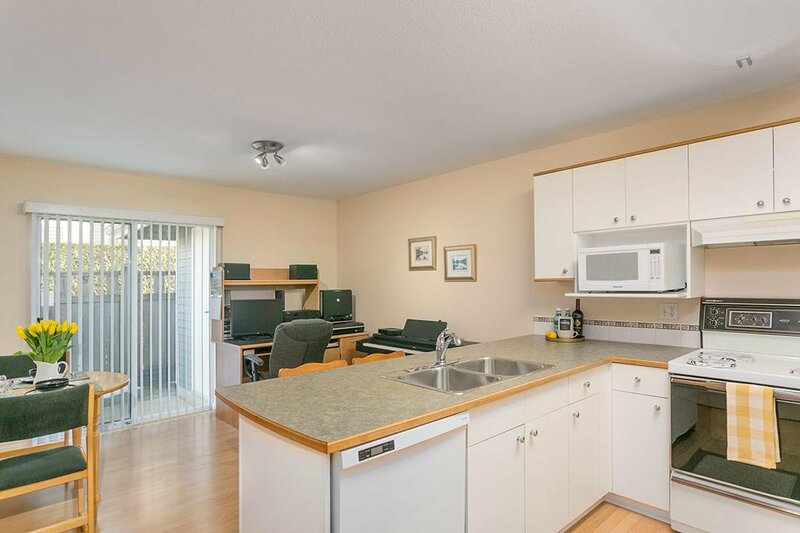 Bby North, SFU & golf course nearby.